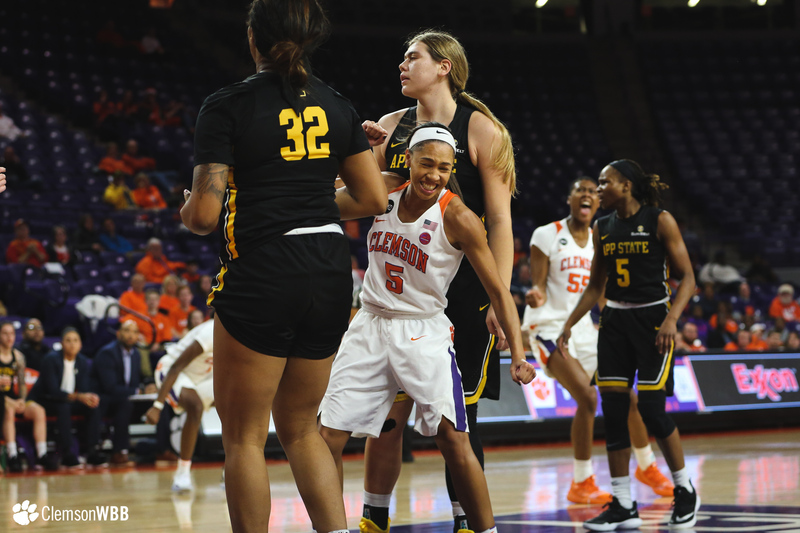 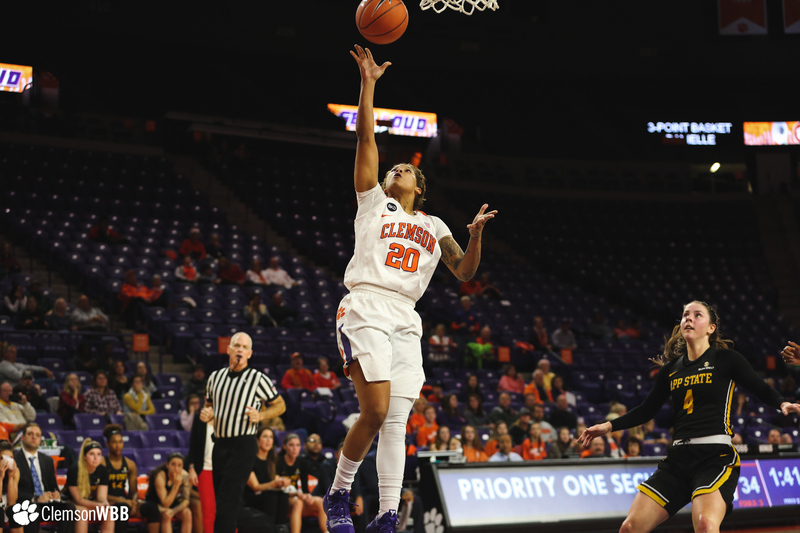 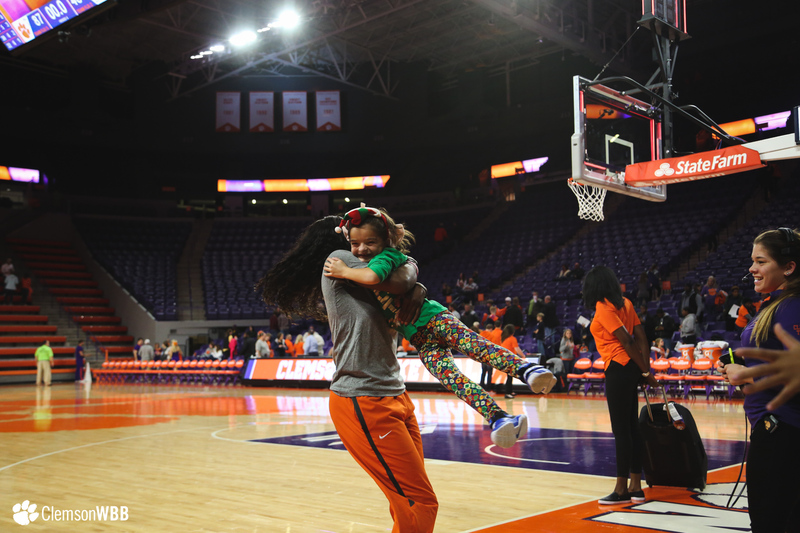 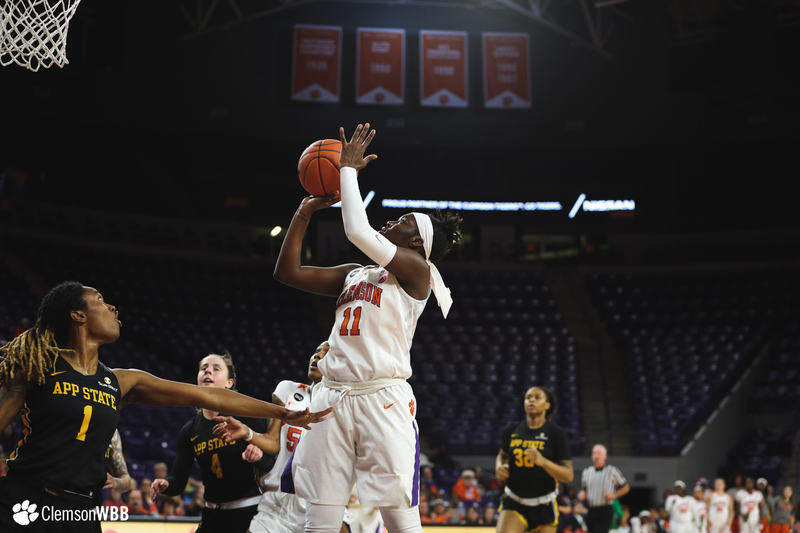 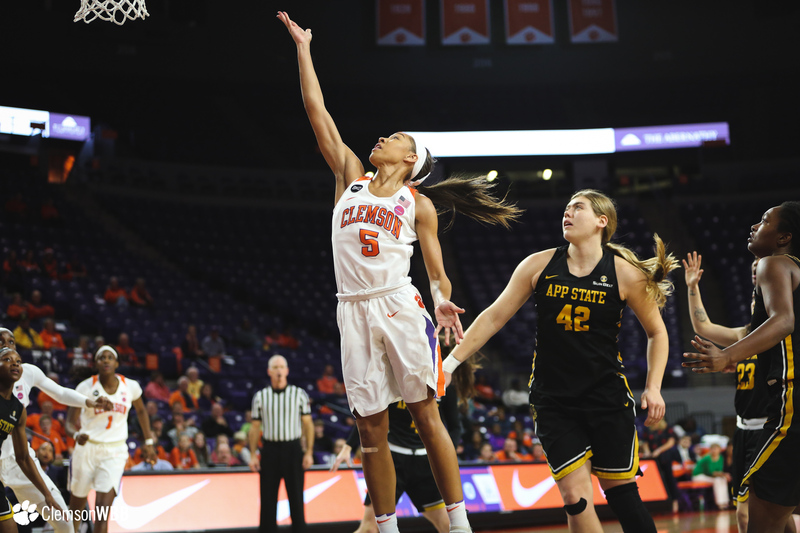 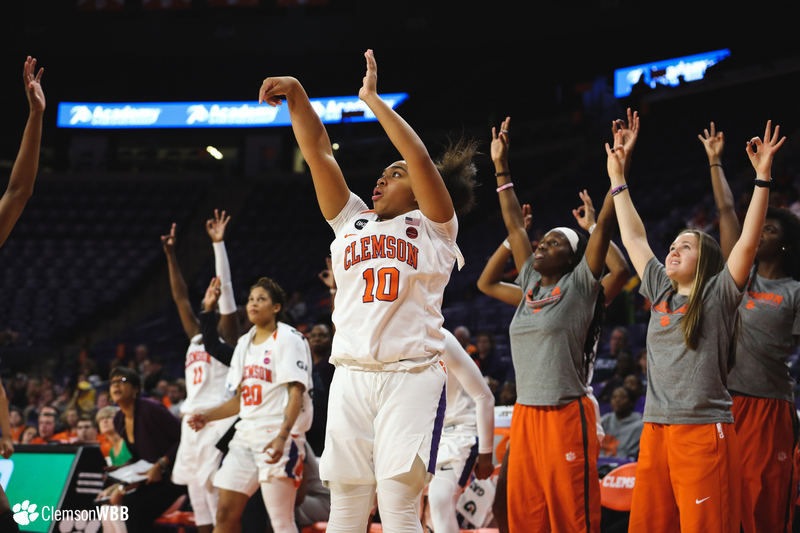 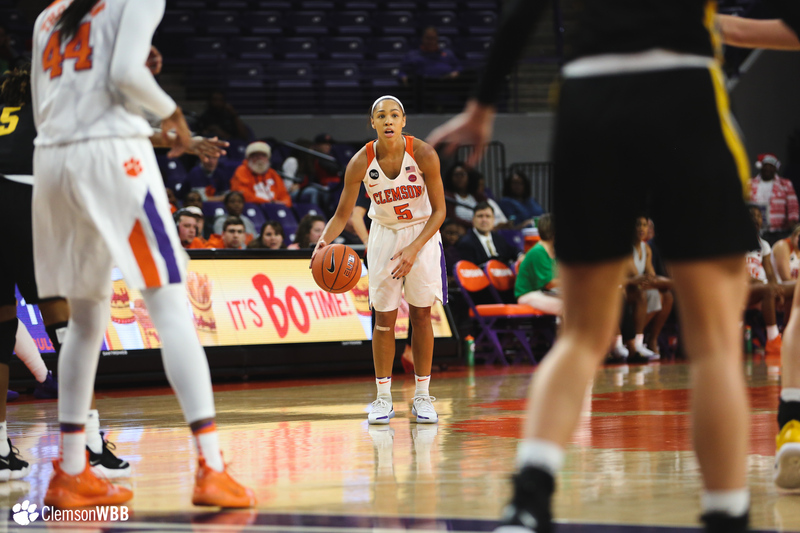 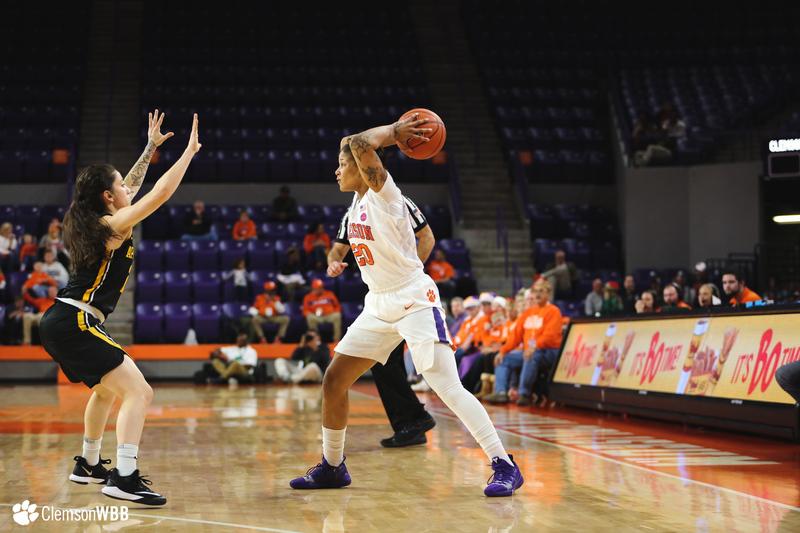 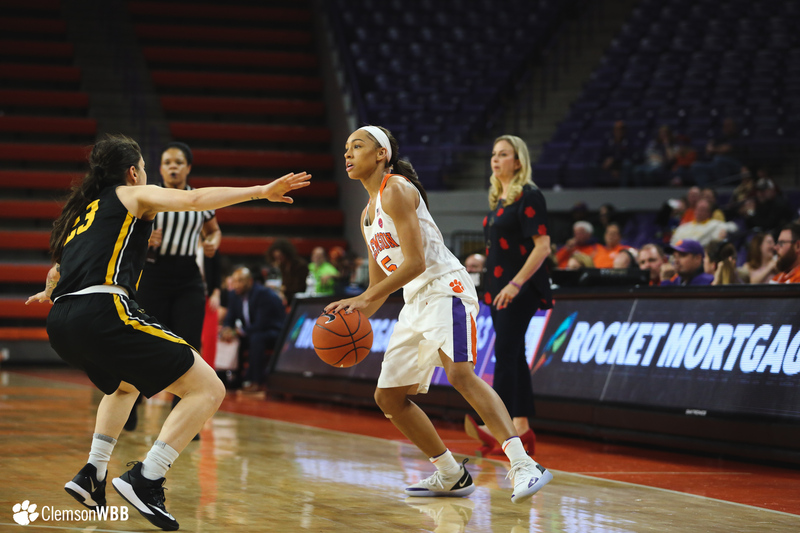 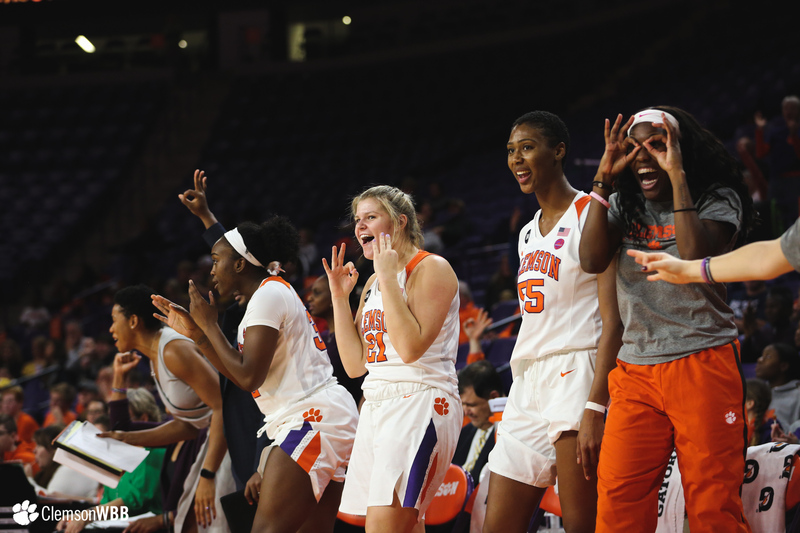 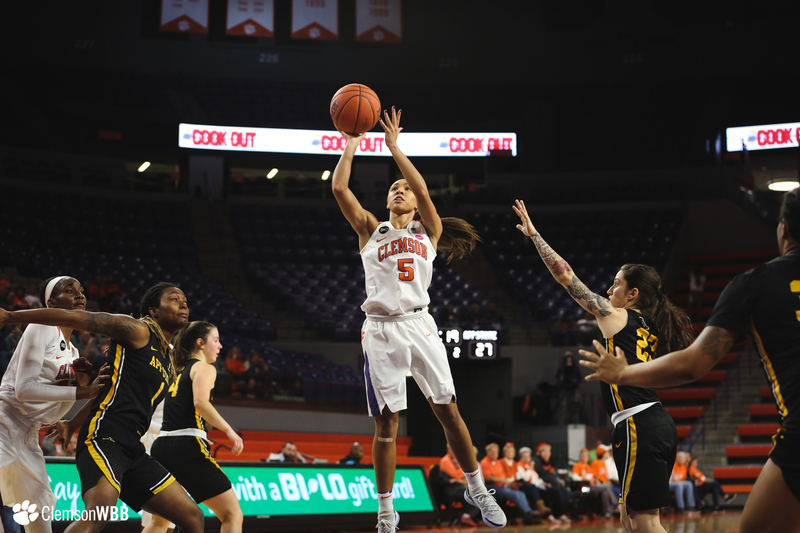 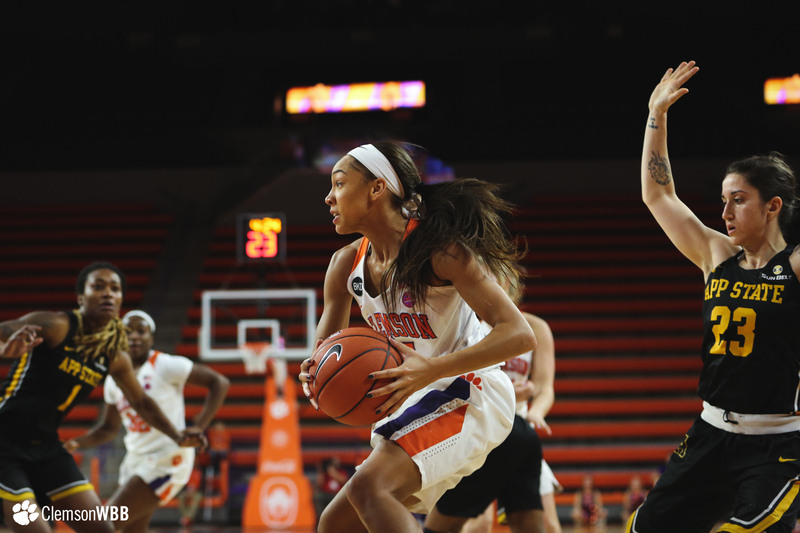 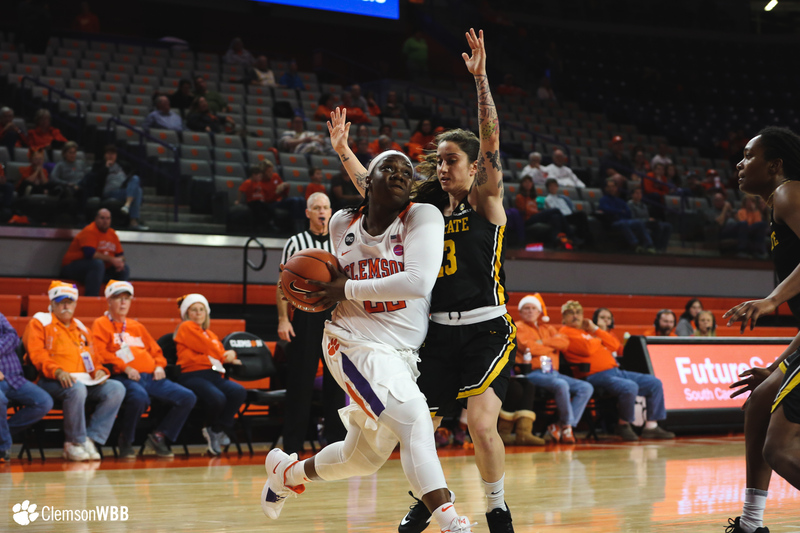 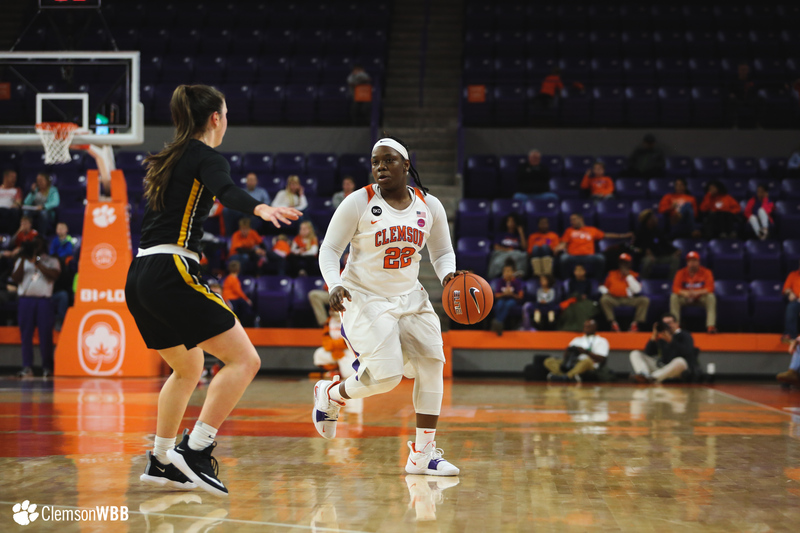 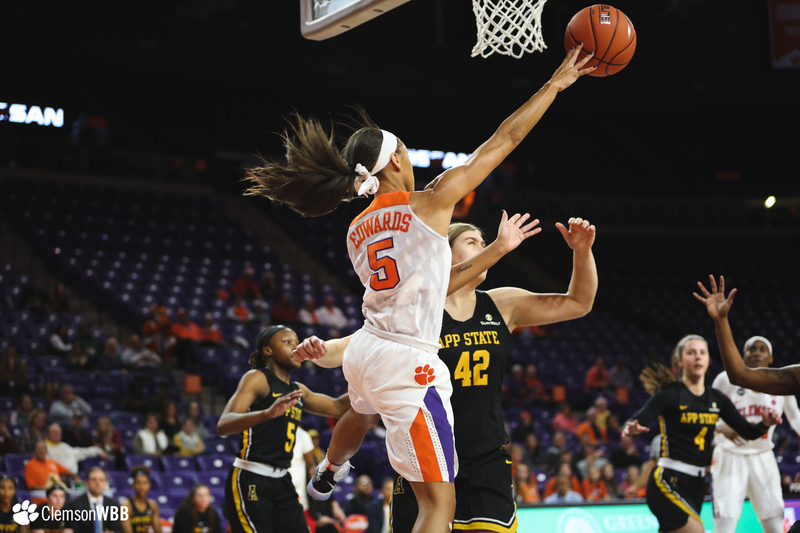 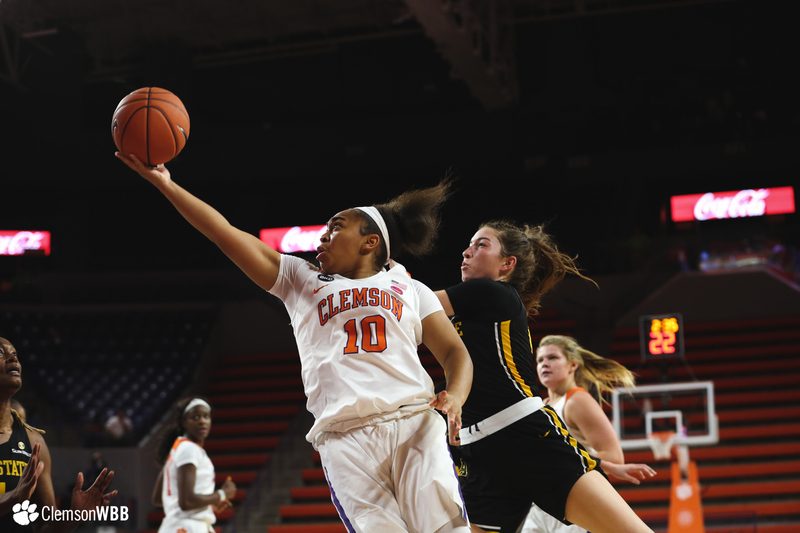 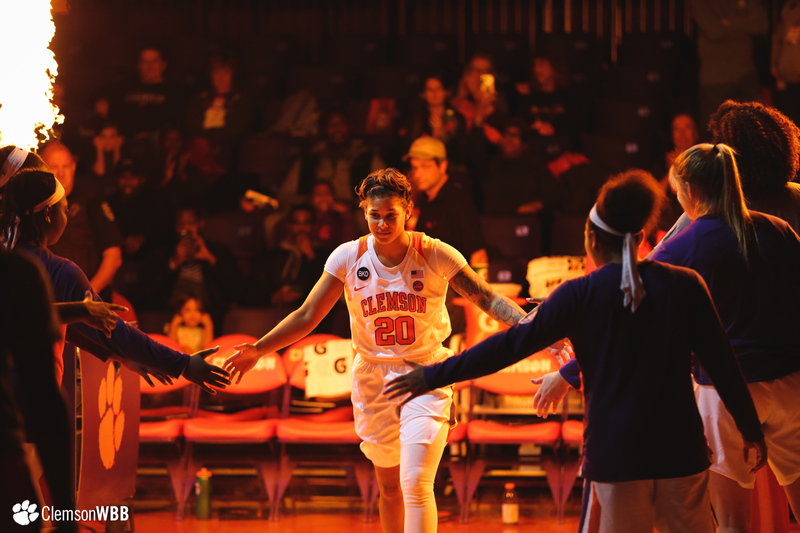 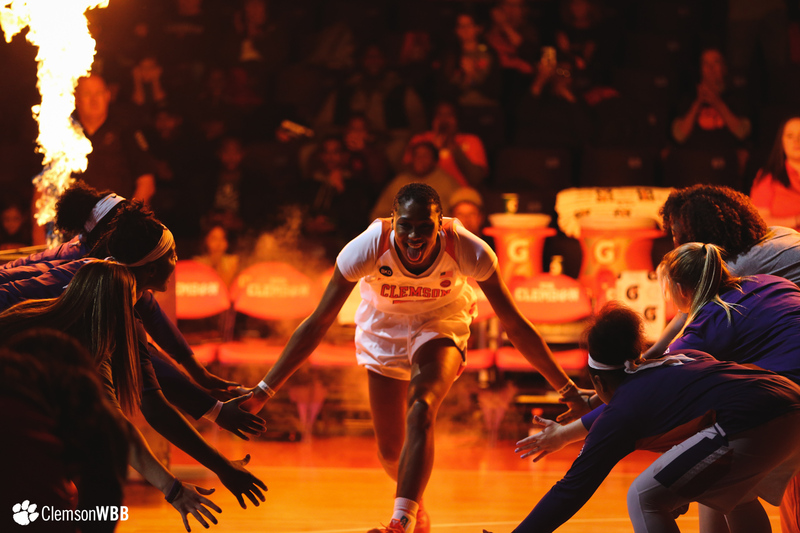 CLEMSON, S.C. – Behind an explosive 20-point performance by senior Danielle Edwards, the Clemson Tigers (9-4) downed the Appalachian State Mountaineers (6-5) 87-48, Friday night at Littlejohn Coliseum. 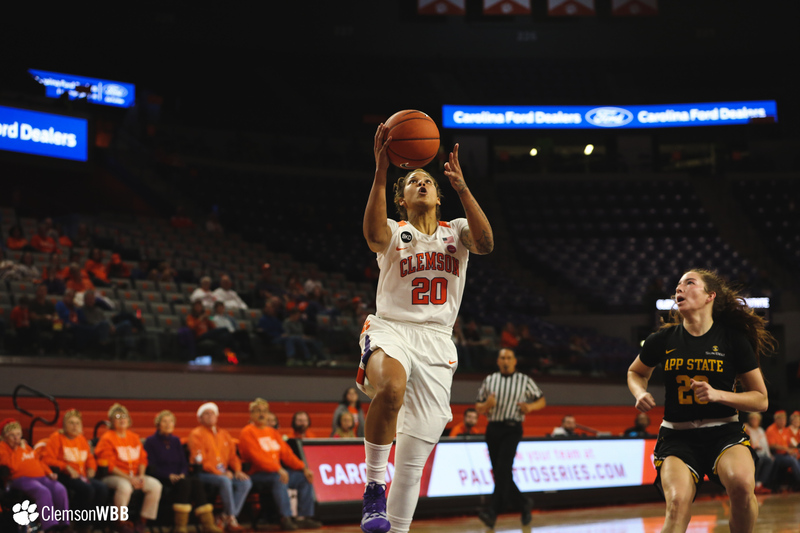 Clemson finished the night shooting 52.9 percent (37-of-70) from the field, marking the first game with 35-plus made field goals since 2014. 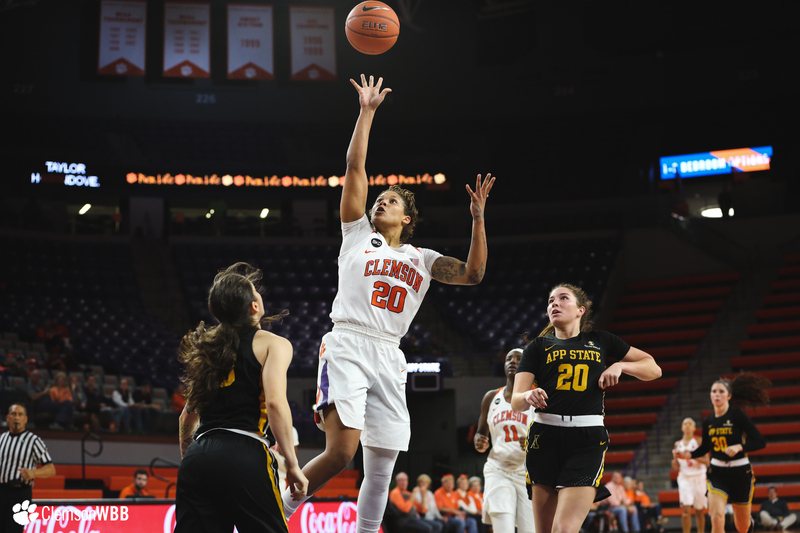 Senior Danielle Edwards knocked down back-to-back threes to open scoring for the Tigers, becoming the 24th player in Clemson program history to join the 1,000-point club. 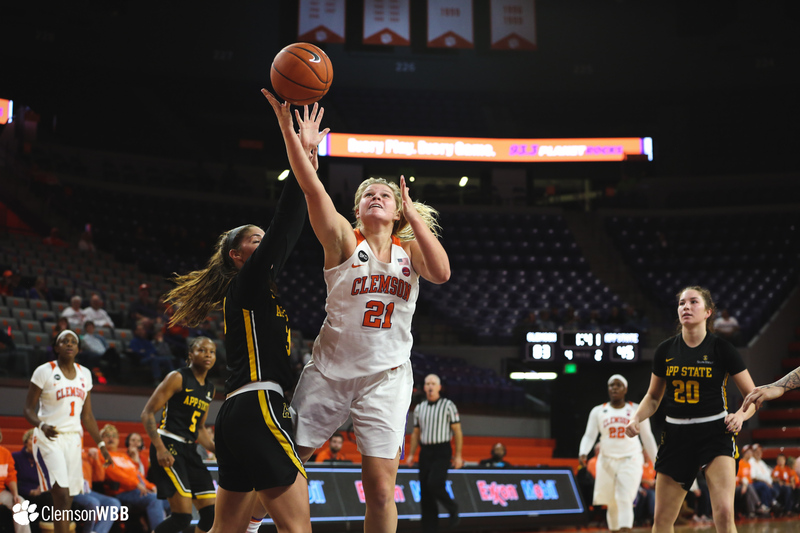 Freshman Taylor Hosendove poured in a career-high 18 points of her own, joining Edwards and three other Tigers in double-digits. 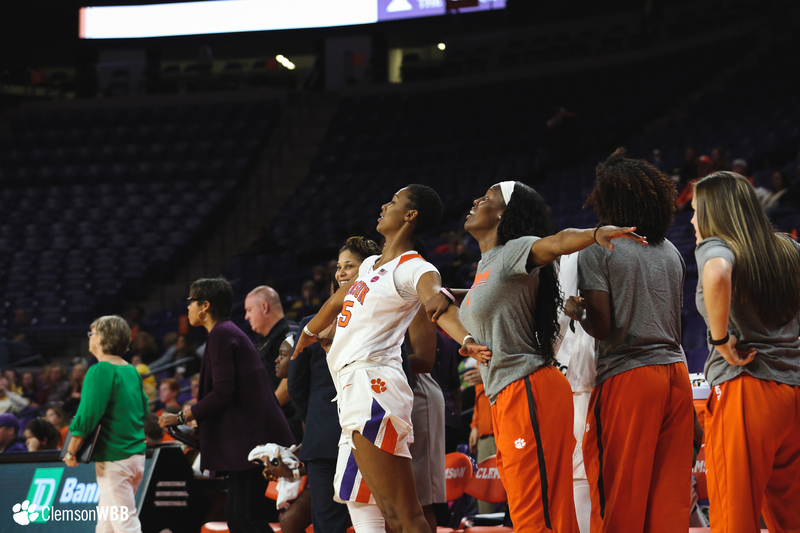 The Clemson bench came to play, accounting for 38 of Clemson’s 87 points. 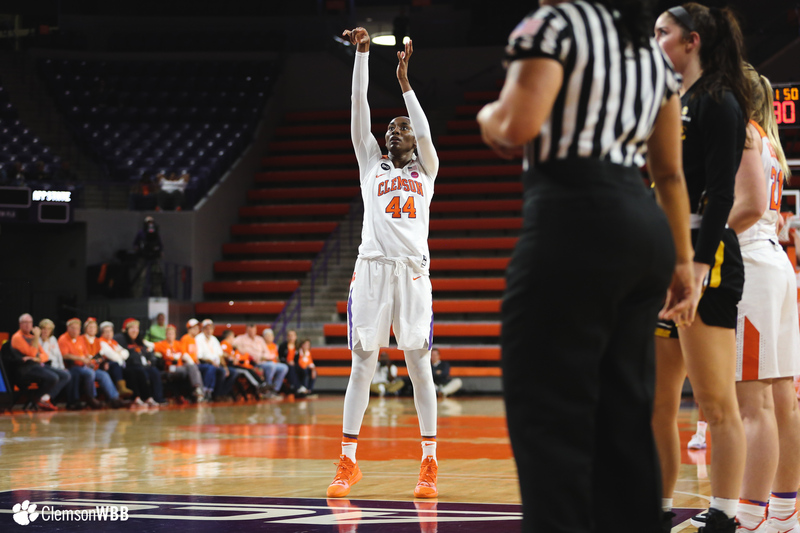 The bench was led by the freshman duo of Hosendove and Camreé Clegg, who notched 18 and 11 points, respectively. 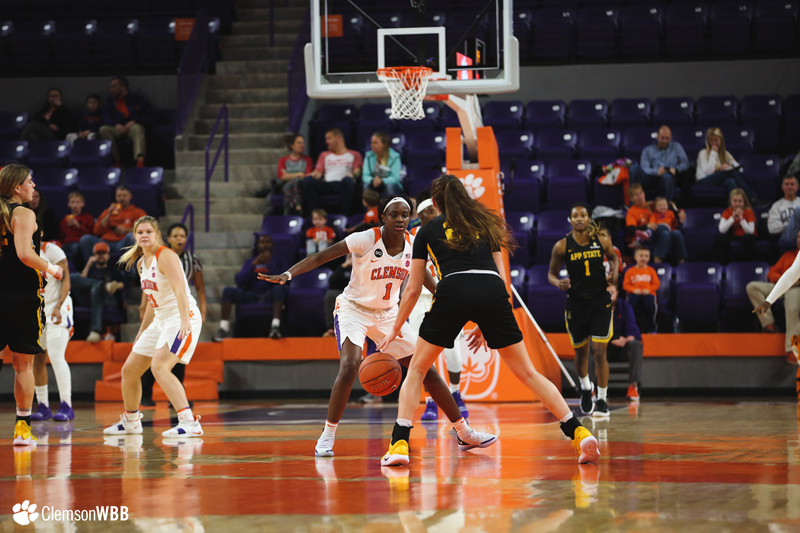 On the defensive side of the ball, the Tigers totaled 25 points off 25 forced turnovers, 17 of which were steals. 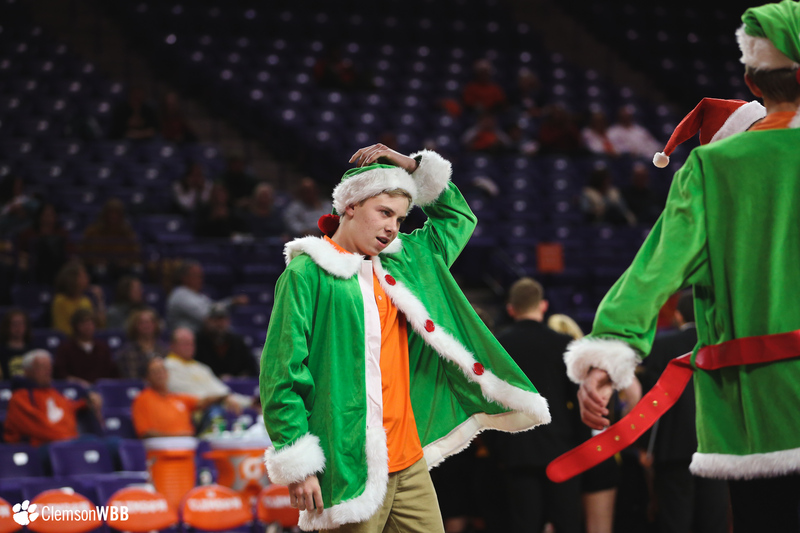 Hosendove with the dime, Westbrook with the finish. 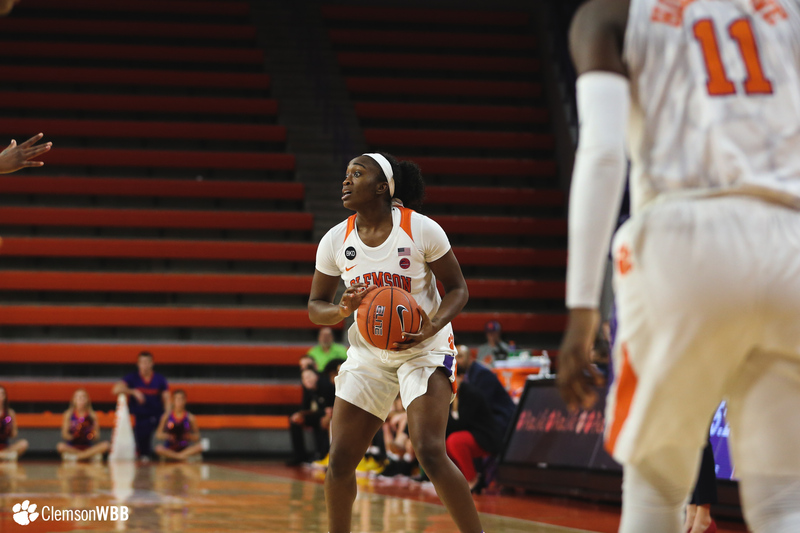 Edwards pours in her THIRD 👌 of the game! 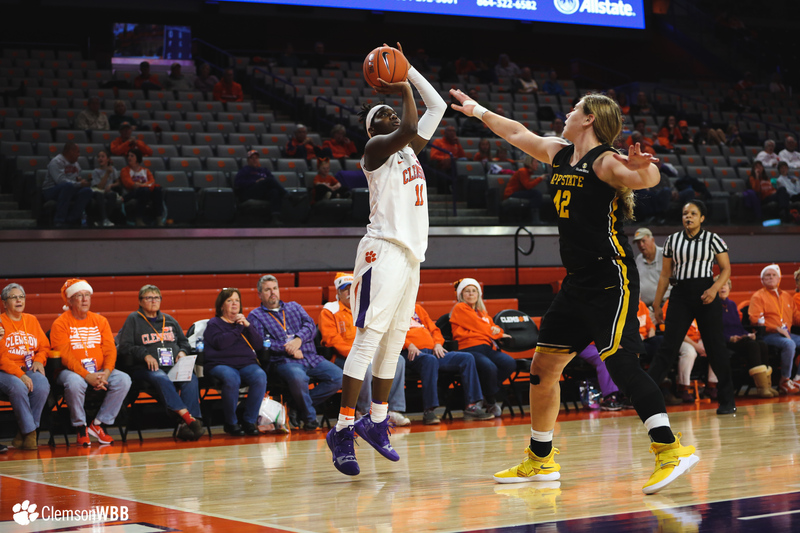 Clemson’s offense came alive in the second frame as the Tigers poured in 26 points on 11-of-15 shooting, the most second-quarter points by the team this season. 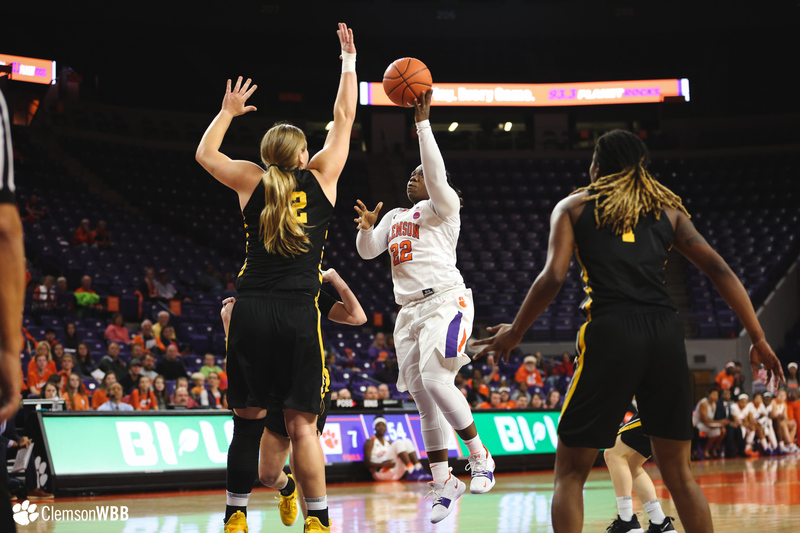 Edwards knocked down her fourth three of the game to kick off an 11-1 run to close the quarter, highlighted by a buzzer beater layup by Skylar Blackstock to put the Tigers ahead 42-22 heading into the locker room. 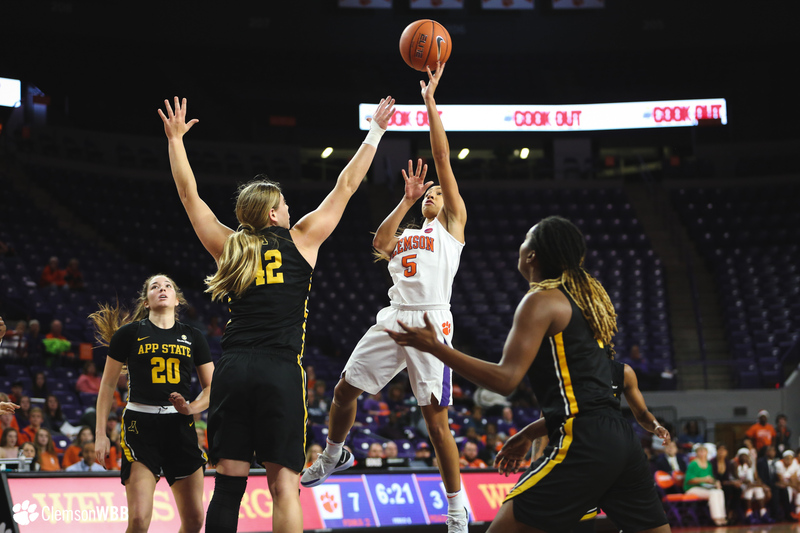 With a 65-37 lead at the end of three frames, the Tigers’ offense continued to set the tone, knocking down six straight buckets to start the fourth quarter. 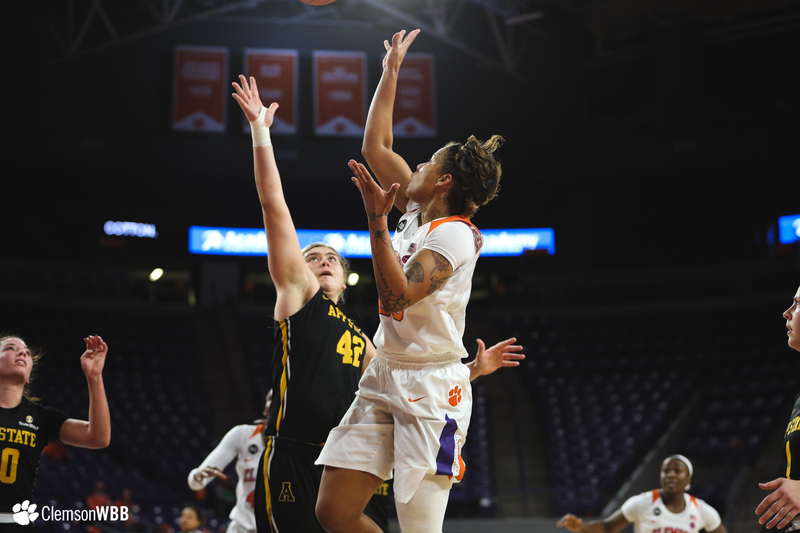 With four blocks and two steals, the Clemson defense held the Mountaineers to just 11 points in the fourth quarter Holding the Mountaineers to just 11 points in the final 10 minutes to roll to a decisive 87-48 victory. 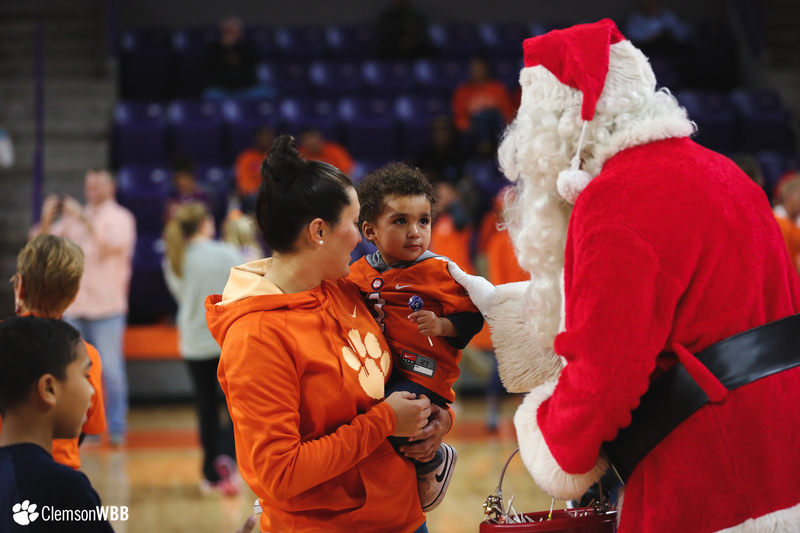 The Tigers are off for the holidays but return to action on Thursday, Jan. 3 when they host No. 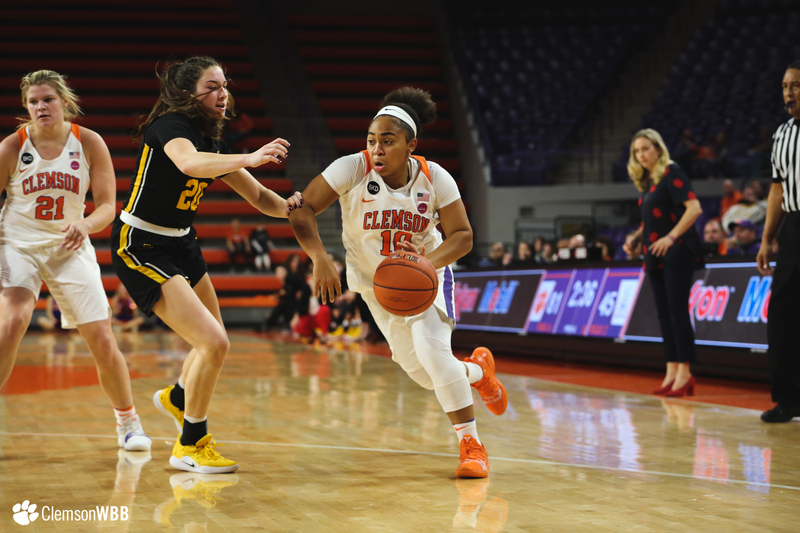 15 Syracuse to open ACC play. 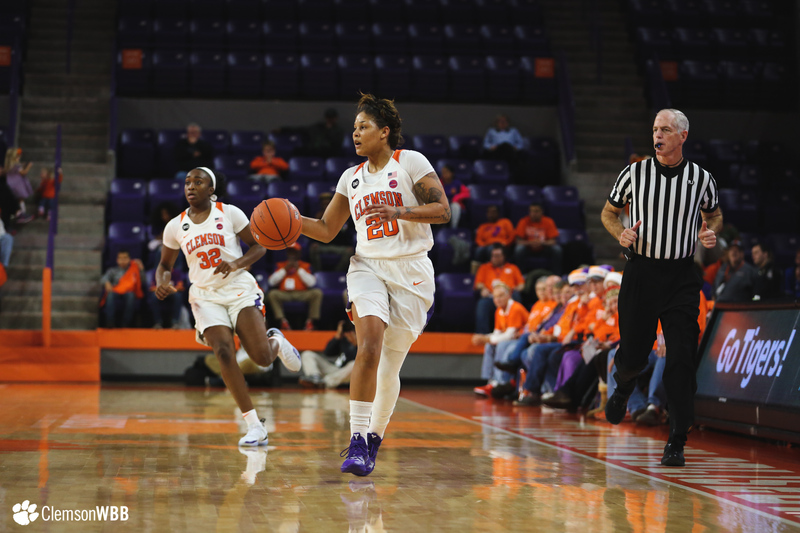 Tipoff is slated for 7 p.m. and the game will air on ACC Network Extra.